Being an admin here at The Voice is an honor for me. 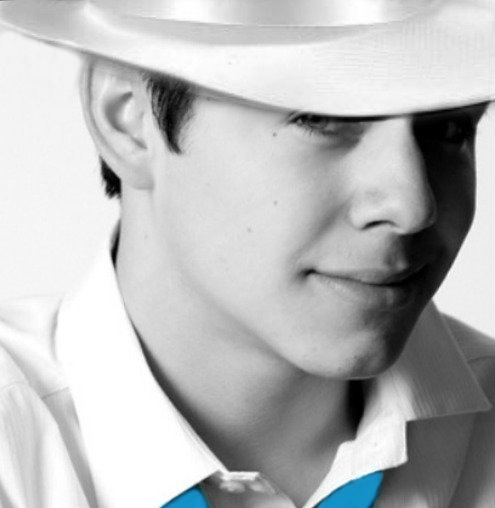 It gives me the chance to help promote David’s career by sharing news and information about him with those who visit. The most recent job I took on was to fill the empty space on the sidebars of this site with images of David. 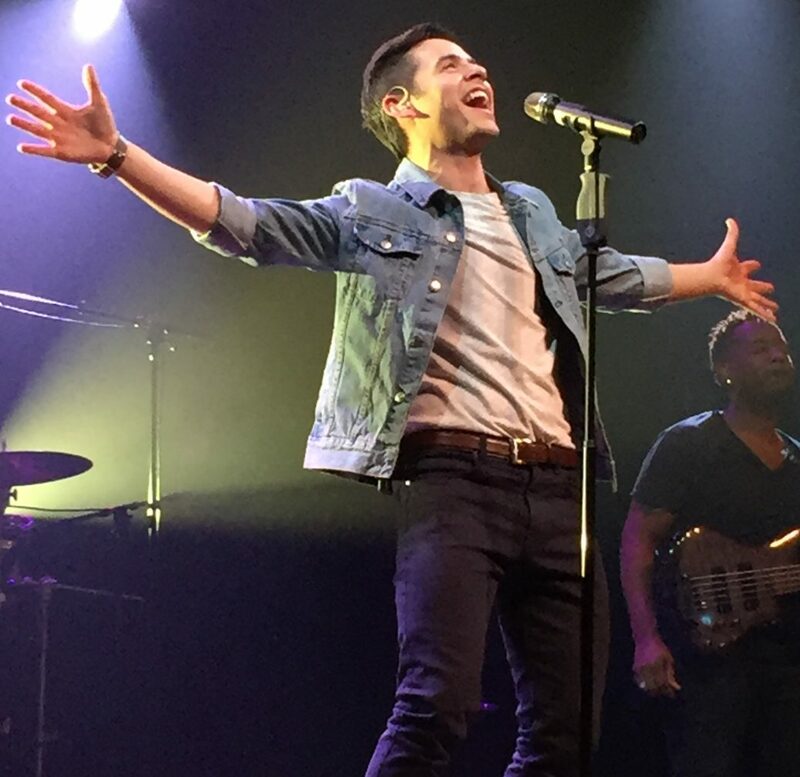 I wanted to tell a story with pictures to show a newcomer (or remind longtime fans) what David has been doing since he tried out for American Idol. Looking to the left or right, you can see the variety of experiences that David has had. Many are from news sources capturing David at an event or from various professional photo shoots such as Matt Clayton, Bench, or album art. My personal favorites are those taken by fans. Fans are my favorite people and I wanted to honor those who took the time to post for all to enjoy. We can’t all be present at appearances or shows, but the fans who were fortunate enough to attend have generously shared their pictures. 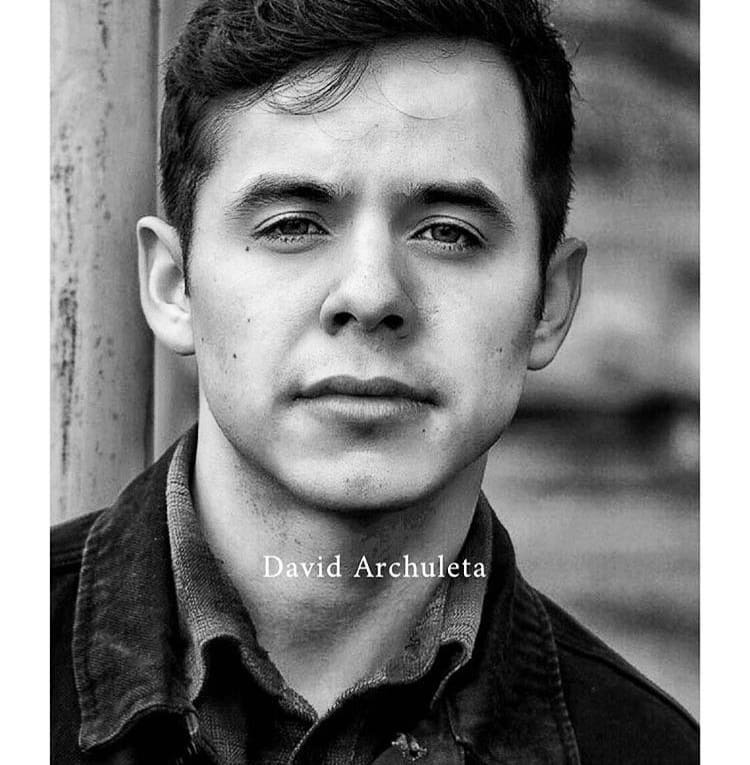 With the addition of their photos, we see David’s story unfold. 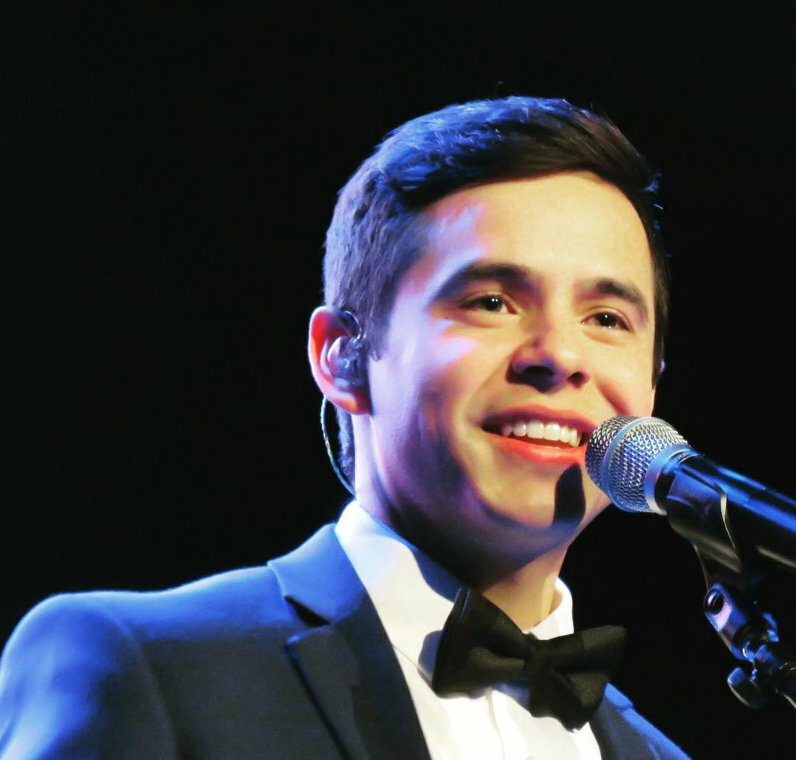 The story in pictures is a representation of the many events, appearances, interviews, and performances in which David has participated. His career has taken him around the world as he shared his gift of music. 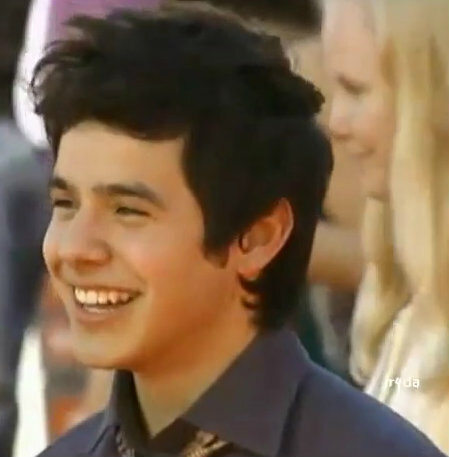 Since age 16 when David auditioned for American Idol, he has been on the fast track to stardom. One of the drawbacks for this was being away from his family more than he had ever been before. When he signed on to be in the competition, he knew that he was essentially going on lock down from the world he knew in Utah. 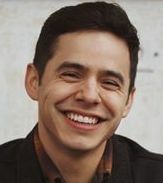 Although his father was his roommate while on Idol, his mother could only see him on television or from her seat in the audience, or occasionally attend some off day event with the other parents and the contestants. It’s quite a sacrifice both ways, for David and his parents, to give up the time for the good of his career. Here we are 4 years later in much the same situation, only the venue has changed. He took us around the world with him and taught us so much about things we may never get the chance to do such as visiting lepers in India or a museum in Jakarta. Each one is a reminder of where he has been and shared his gift of not only music, but himself. Currently, David is approximately 5,742 miles from home doing something he felt in his heart was what he needed to do to feel fulfilled in his faith. It shows what a grounded adult he has become. Sometimes, it isn’t just about the music and being a star. That is the story I wanted to tell in pictures. If you see a photo that reminds you of an event you attended, tell us about it! 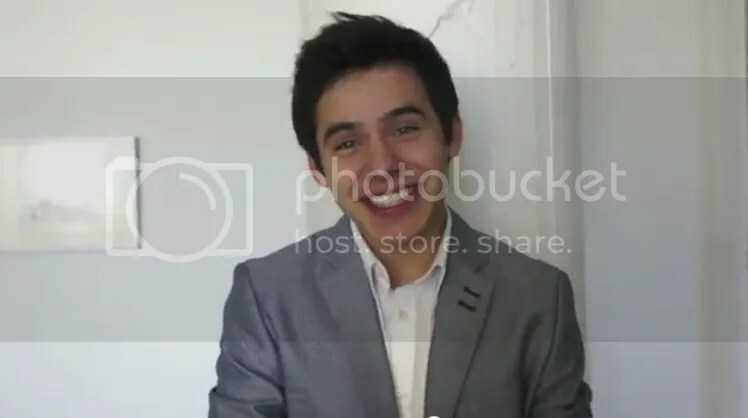 This entry was posted on Thursday, January 3, 2013 at 2:30 AM	and is filed under David Archuleta. 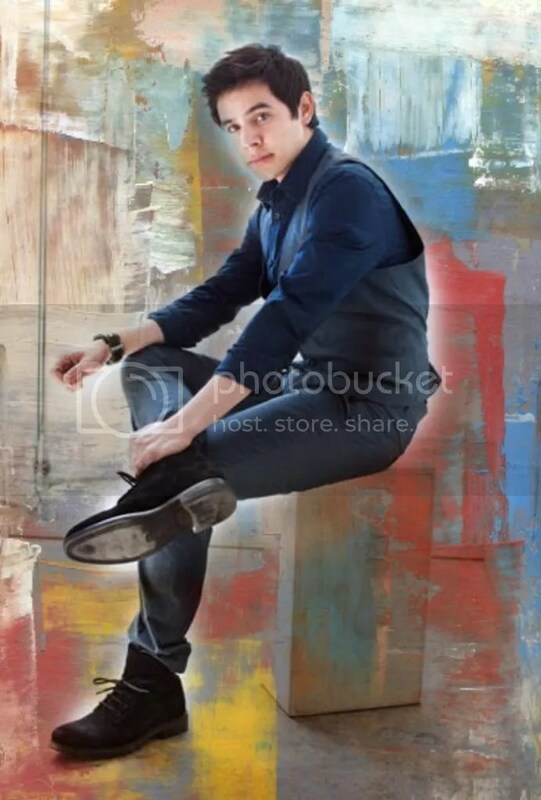 Tagged: 1 picture = 1000 words, David Archuleta, sidebar scrapbook. You can follow any responses to this entry through the RSS 2.0 feed. You can leave a response, or trackback from your own site. Thanks Abrra for this post. I’d like to take this opportunity to thank all Admins and contributors to this site. I really enjoy coming over here to read stories and commments,looking at pictures and watching videos posted by Admins and fans. 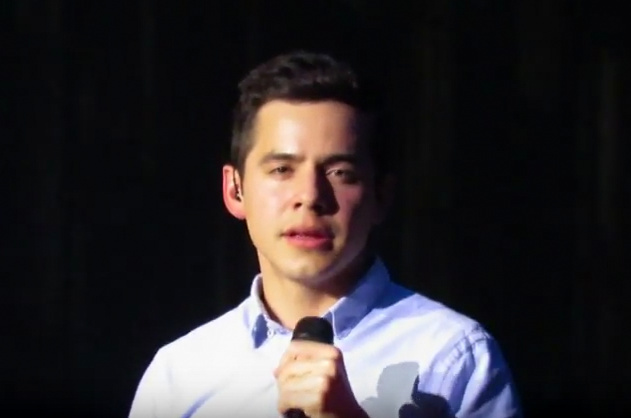 Since I have yet to attend a concert of David’s, I don’t have pictures or videos to share. I really appreciate very much the generosity of those who share their treasures (pictures, music, videos, stories), especially anything David related. I can’t wait for the time that I would be able to share my treasures as well. 2014 is the time….. 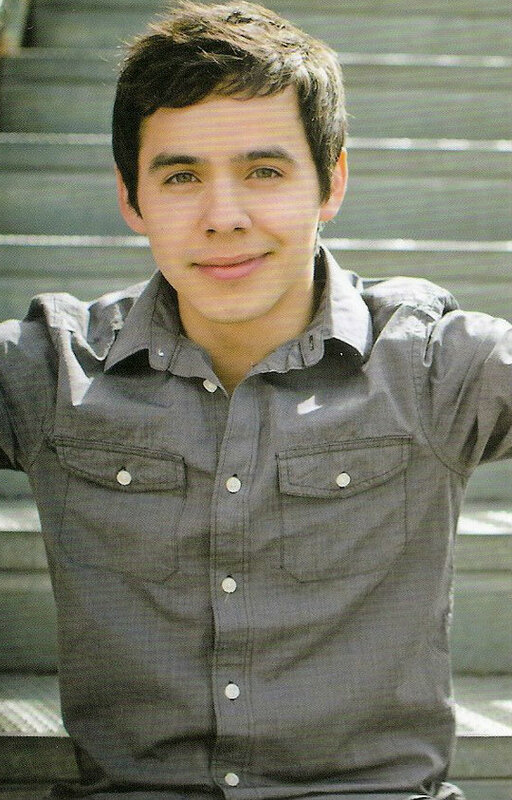 I am willing to bet that David will come near your area when he tours in 2014! Now lets get our favorite picture back up in this thread! Sent you a few of mine!!!! 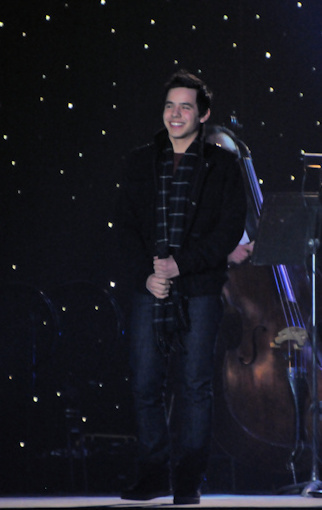 HAPPY NEW YEAR TO ALL ARCHIES, 2013 IS GOING TO BE A GREAT YEAR. 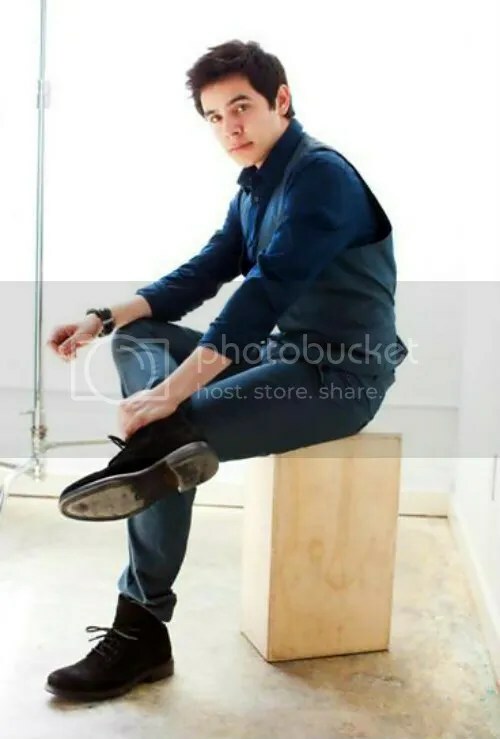 Looks like he did this during the photo shoot. I recognize the steel pole thingy from the last picture. 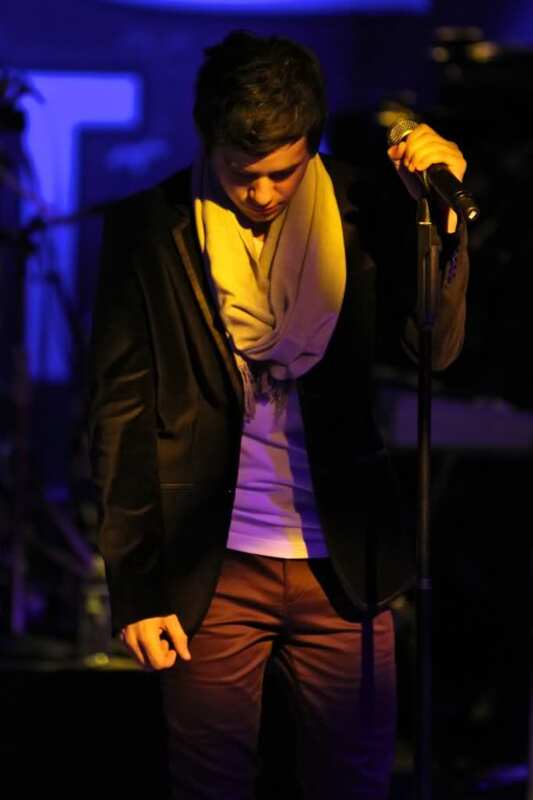 Its the same jacket as the picture of him squatting and looking down in silhouette. I am a fan of your side-lines…. as you Well Know! And I love your vision of how to support DA. I like how you see a whole person there, and a multifaceted path. Here’s to our growth as well, for the time he is gone. Somehow… he doesn’t seem as “gone” as he did in the beginning, no? The clever little planner! 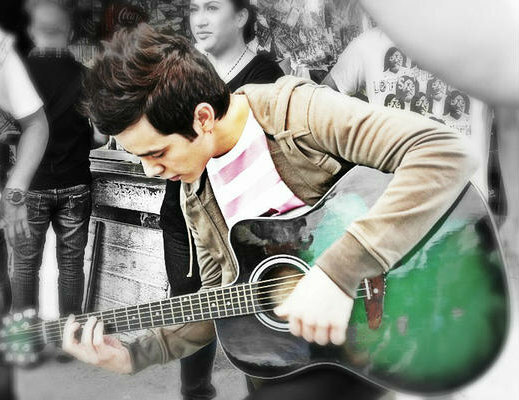 “Sometimes, it isn’t just about the music and being a star. And sometimes it isn’t just about being a fan. Kari’s tweet had me kind of confused, thinking maybe we won’t get much this year. But, then this pops up … ??? Hmmmm … could it be???? Abrra, I love the pictures on the sidebar. Haha, we never compliment each other much, so when we do it is Big tiime! 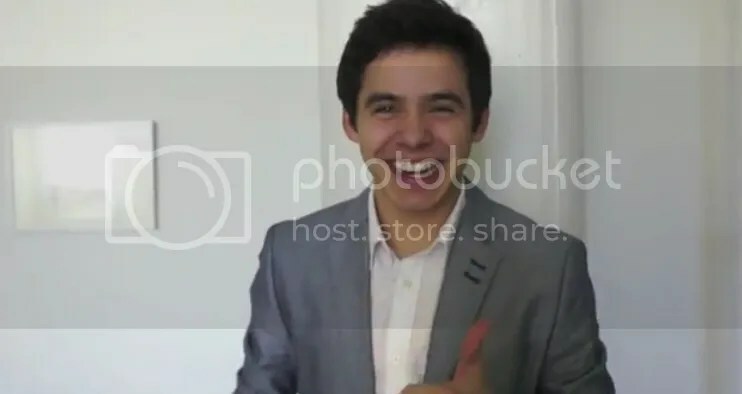 MT, maybe not much from Kari and that is fine she is a liason between David and oursleves which is a job, but there will not be silence in the world. 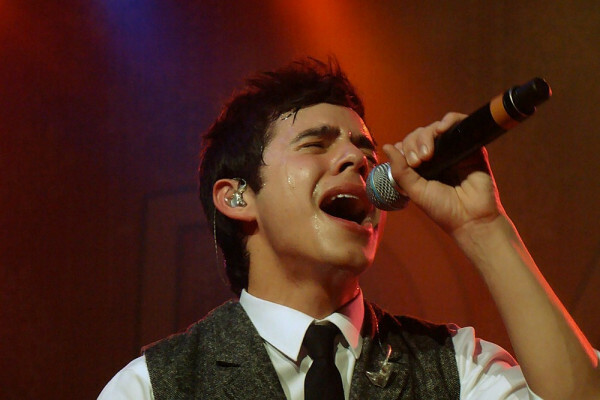 The world can’t/won’t stay quiet where the immense artistry of David Archuleta is concerned. 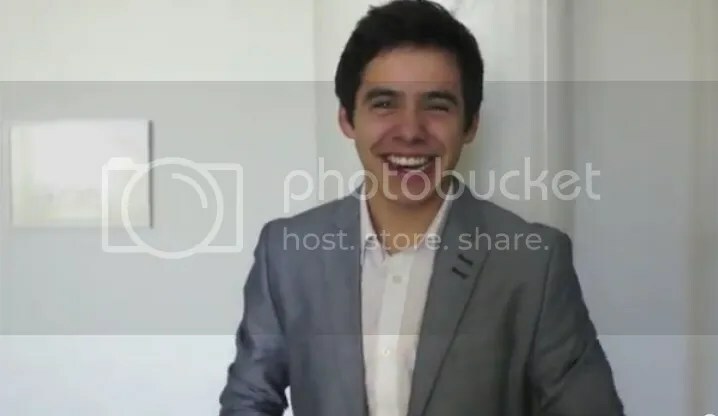 Most of the news about David has not come from her but from videos and public announcements, and the media which is nothing short of a normal route. Our lives are filled with commitments and we still have the time for music and artistry, a balanced life. Gladys…all is well…Beautiful pictures in the article! Let the artistry continue! Thanks so much for the article and the sidebar pics. After reading your article, I took a good look at them all again. 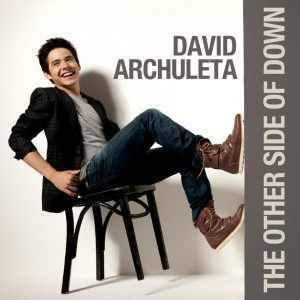 They show so much of how David has grown as both an artist and a person. 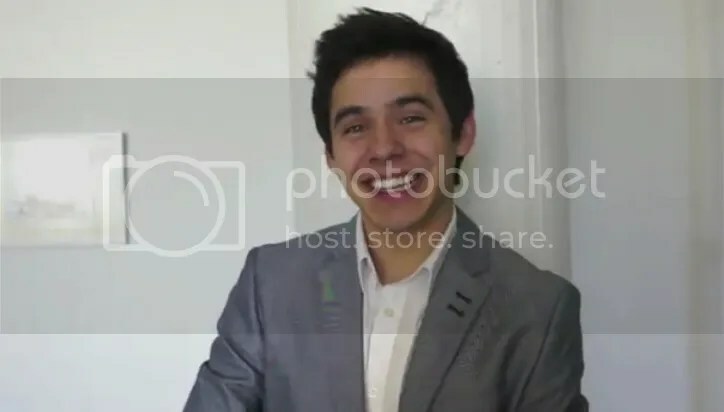 At such a young age, he has done so much and every event is documented with his smile and charisma, with the beauty and talent that is David Archuleta. He is multifaceted and the photos show the many sides of him; playful, serious, heartfelt, joyous, contemplative, passionate, fun-loving … I could go on and on. 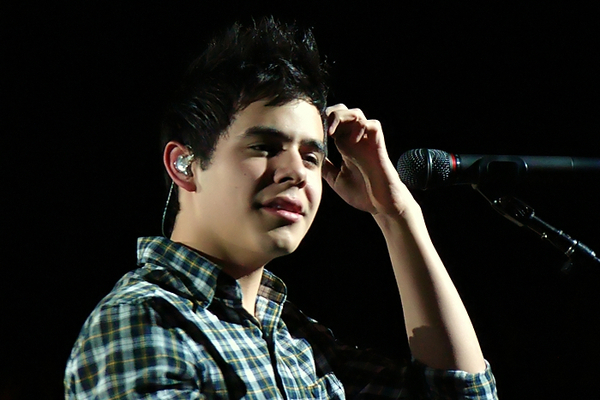 The sidebars are a wonderful chronicle of the many different sides of David that have drawn us to him. So true. News comes from all kinds of sources. Let’s hope it keeps coming. Confession: I am also confused. What the heck is Kari saying? Are we expected to put our love and concern David on a shelf for the next year? Pretend he isn’t relevant to our daily life? Sorry! Not gonna happen. I don’t have the capacity to turn off/on just because he isn’t here. Fan sites are more needed than ever now! Love all the pictures/memories along each side Abrra. Sometimes when writing a comment, I’ll look over and there David is turning his head and smiling at me. Other times, I’ll be scrolling and seeing as he is hurrying down the Hall in SLC. Great memories. Love David’s New Year Message planned before he left. Appreciate all Kari does to keep us posted. Will continue to send Cards and or Postcards to the P.O. Box. (Maybe some have sent things directly to the Mission or whatever). Some sweet reflections, Abrra. Thanks! And yes, while David is gone, it really seems to be about the growth. What a pleasure that is to watch through pictures, especially since I fail miserably in that category. I tried once and only captured a busy blur with a mop of black hair running across the stage. On David’s birthday, I went from one fan site to another to catch a bit of celebration wherever I could. Along with the pictures, I am beholden to sites like The Voice who keep us entertained, informed, enlightened, and firmly in David’s corner while we wait. I don’t say much here because you all are so eloquent and I’m a bit silly. But I do read, often re-read. And of course there are also… ahem, the PICTURES. Thanks to all of you who work so hard to take care of this site for the rest of us. Much appreciated. you know I love my eye treats, so I am grateful as heck for the addition of the sidebar goodies. You have done a fabulous job of picking out some real beauties to chronicle Davids journey, and growth over the years and it is so much fun to come here and see them everyday, so thank you!! well SILLY me, I repeated myself lol! #9 Third pic. …. He is so handsome. That crooked smile is irresistible isn’t it? hahahahahaha In that case, thank goodness for cameras! Kari is employed to be a liaison between David and the people who listen to him sing 7/52. These people are hugely committed to the lives of many people. I wish that she would be more direct with what she is saying. She to be committed, OK. He continues to be and he wishes for us to be. What impression have his fans been giving is unclear. The fan sites keep that candle of his future flickering … Must go to one of my commitments who is starting the norovirus flu. Liaison…there, have to spell an important word correctly. Abs, I love the decor in this room. You’ve always had a good eye for the pictures and videos. Question: Who is on David’s gray t shirt playing guitar in the pic to the right of comment #31? MT, I’ve met him a few times, cannot recall if the dimple showed itself. I DO remember all the shrieking going on inside my head. So, you know, it probably affected me lol. I have a bunch of images on my camera, but most are crappy. Some are from Grand Rapids, Fall of 2010, and some are from Verona. I never played enough with all the settings on it to take pics in a concert setting. But I will never delete them. Even the blurry ones. I do have a pretty good one from Verona. Maybe I’ll send it to you Abs. Although I probably already did. My opinion of the “note”? I think she’s saying leave him be, without actually saying leave him be. extremely photogenic. Loved the article, too. David IS one of our commitments! The Voice is fully committed to David and his career. Check out David at 3:25!! Betsy, you are right. What should we do then to let him be? Should we not comment when there are videos on YouTube? Should we not comment when there is something said on twitter or written on a general entertainment site? Perhaps there should be less mail? Should we say “Gone Fishing”? Should we just go away and keep it quiet? It makes me feel that way reading between the lines. Abs, I love all the work you put into doing the pictures down the side! 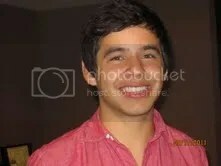 I always have to scroll down to David turning and grinning at me! I pretend he is hearing my ringtone since “Crush” has been on my phone since day one! David has grown, maybe not in size, but in maturity and wisdom. He always knew what he wanted, just didn’t know exactly how to package it. At least he didn’t let Jive take him over and make him another “pop” star! He is so much better than that and always will be. Now he is doing what he wants and will also do that when he returns, but he will be better “equipped”. Didn’t mean to write a book, but once I got started I couldn’t shut up! 🙂 ….sorry…. So, David is busy and wants us to find ourselves something to do. Is that it? I actually found it funny that his representative is asking us to cool it. Other celebrities are so proud of their fan mail, something to count, pile up and shovel into the incinerator. But for David it is a responsibility and a commitment he takes seriously. I truly believe every word we send him is read. By David. That is one reason why no matter how far he travels away from us, no matter how long he stays away, when he returns he will find us waiting for him. Anxiously. I would like to share an evening spent with David at the Blaze indoor football game. He sang a couple of songs at halftime. It was his mother’s birthday and he honored her with the birthday song. He rode on the back of a motorcycle with the team mascot driving, wearing that huge smile and his exuberance was contagious. Several of us fans got together after and spent hours talking. There were several people who had come from the east coast, many who had traveled a great distance just to see that halftime performance. LOL Not a lot of help there. Anyone else remember seeing the dimple in his chin? As for Kari’s note, maybe she just means he would like a less mail. He got so much for Christmas and his birthday it’s probably taking forever to get through it and trying to read it all is taking time away from his purpose there. It’s a big distraction. At the same time, he would feel badly if someone took the time to write and then him not read it. (you know he feels he needs to read every piece) Maybe he’s torn regarding the mail, glad we are thinking of him but he doesn’t really have the time. So, maybe less mail would help? I can’t imagine him wanting us to stop supporting him. 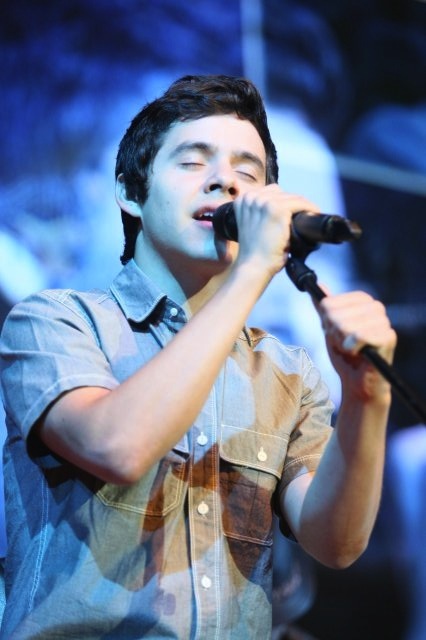 He has stated very plainly, and in photo, that he wants to come back to a singing career. “David, I’ll be back.” I think he would appreciate it if we hang in there for him. JMO, for now, still trying to figure it out. I think it’s all about the mail. Maybe he doesn’t have time to go through it all, and feels bad about it. Maybe he wants to be like the other guys for awhile. Maybe he’s feeling overloaded with the hundreds/thousands of cards, etc he received. Maybe something else happened that we don’t know about. Maybe none of this is true. Who knows, that was a vague note. And MT, I see now that you wrote almost the same thing lol. I just looked up. Abrra hi. Love all the pics you have chosen for the sidebars. As I look at them I think “This is my favorite. Oh wait! Forgot about this one. And this one too.” So I’ll just say I love them all! I’m sending you a pic from the Gilbert, AZ event last 9/17/11. I think I may have sent it to you before but oh well. This was taken at the hotel lobby. It was actually the thrill of a lifetime. We met the whole band and spoke at length with Jeff. My friends and I told Jeff we wanted to be on David’s board of directors. That in fact we wanted to BE the board of directors! That gave Jeff a laugh. David was his usual accommodating, charming, stunning self. Can’t wait til his return! Happy New Year Abrra! Thank you for all you do. My thoughts that went the limit, were expressions of thoughts that could come following her note, including mine. You are all strong in your beliefs! It is not fishing season anyway, anywhere close to me! I saw those teary eyes Abrra. Abrra, Thank you for the story of David in pictures. It’s great to put the memory to go with the picture. You can see the physical growth, the boy becoming a man. So glad to be on this journey. So much so that wild horses couldn’t drag me away. David said in a vlog that one of his fears was to be forgotten, so I to am confused with the latest note. Soon after it was tweeted the tweet of something being in the air by LadyV appeared. Huh??? 37. MT.can’t help ya out, didn’t notice, I wasn’t looking at his chin. doesn’t take anything but that to make this fanbase happy. 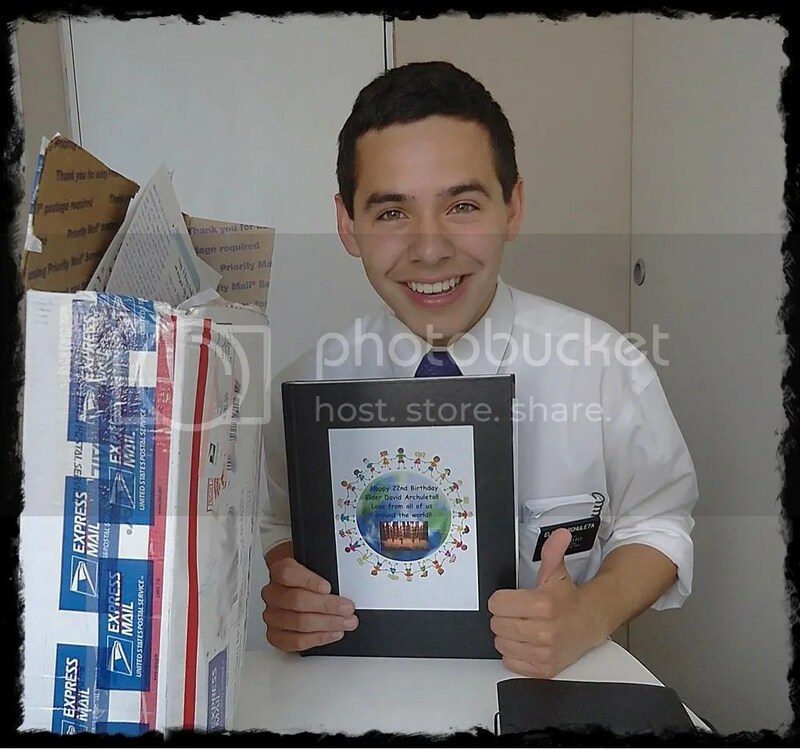 The fanbase knows the real thing and his picture with the Greeting’s Book is worth getting excited over. We know his smile, teary eyes and thumbs up. David has the hardest working fans in the world. We could have left many indecisions, many droughts, many disappointments and odd comments years ago. I will never forget Gilbert, Arizona, that big sports bag dragged there from thousands of miles away. The letters, cards, small gifts, filled the bag from people from all over the world. It was a super project with so many contributing from different fansites who gathered at a restaurnat that day. This was the base of his fanship, flying to Arizona after not seeing him for so long. We let him know that night that we would go anywhere to support him. It was a show stopper of its own kind. I guess I’ll just have to wait for my turn seeing him to find out about the dimple in his chin, if I have the courage or wit about me to look at him, and can get beyond the eyes. And it’s quite possible that by 2014 I will have completely forgotten about the chin (I may forget by tomorrow 🙂 )and just be waiting for that voice. Wish me luck! oops .. *NOTICE* his chin. Although I’m sure it’s a NICE chin too. SB, yes Arizona was epic in many ways. Maybe that’s when he started toying with the idea that a mission was possible for him. 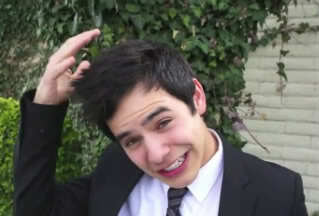 Jeff told us David was blown away several times emphasing his reaction when he realized what the fans had done for him. 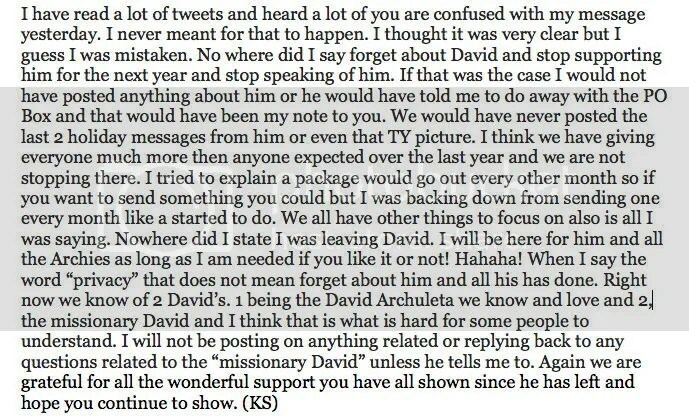 See David has said he has a relationship with his fans and most definitely we with him. I wonder, who could ask a question on the Missionary Activity of david, some fans would do that? someone among fans who would ask kari to publish or answer questions about it?? my god, this is confusing. I concur with dja about the chin dimple. The first few times I met him I wouldn’t have been able to tell you – I was mesmerized by his eyes! But when I met him in Verona at the MKOC tour, we actually had a short conversation and I was able to look at his whole face hahahahah. !!! Dimple in the chin! Bebe #33 – I was there! Loved that head rockin’ at 3:25. Close-up, too! 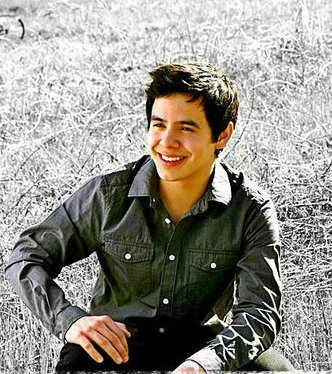 MT.I cannot wait for your day to come♥to meet David in person. So excited for that! yes, I was locked onto his eyes and warm gorgeous smile he was giving me as as I walked towards him! I can’t wait for my day to come, too! I’ll try to be careful so I don’t end up with a dimple either. Maybe you will be there and we can help each other stay on our feet! Besides, it might take both of our bits and pieces of memories to make one complete one. Thanks to Abrra’s article, I was doing a careful study of the sidebars and I saw that photo (nice!) and more like it. It, and many of the studio pictures, show a pronounced dimple but most of the fan photos don’t. Or if they do, it is barely there. So I started to wonder if maybe it’s “barely there” and they were photo-shopping it to make it look more pronounced or if it was actually real at all. I thought maybe they were adding it for effect. Abbra, I love the pictures on the side bars and the thoughtful post about “growth.” David has worked so hard and grown so much. His journey, and his determination to do his best, continues to touch my heart. There is an old saying, “familiarity breeds contempt.” That could not be further from the truth where David is concerned. 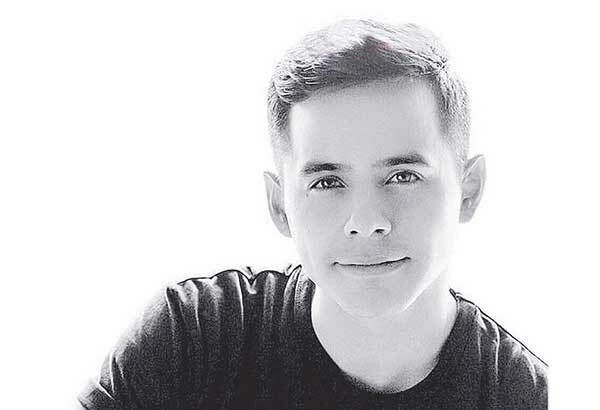 Through the years, as we have gotten to know him better though his words and deeds, respect for him as a person, and as a artist, continues to grow. I also would like to thank you and the others responsible for this site for the continued support for this truly remarkable human being. Ah CB! Nice to see you back here with us. The sidebars are an interesting feature in that they never fill up with David-ness. I have added a few more since this article was published. He is so dynamic, always looks happy! I think that he really was moved at the Christmas and birthday mail and felt compelled to give us an unexpected “thank you” picture. Hmmm. 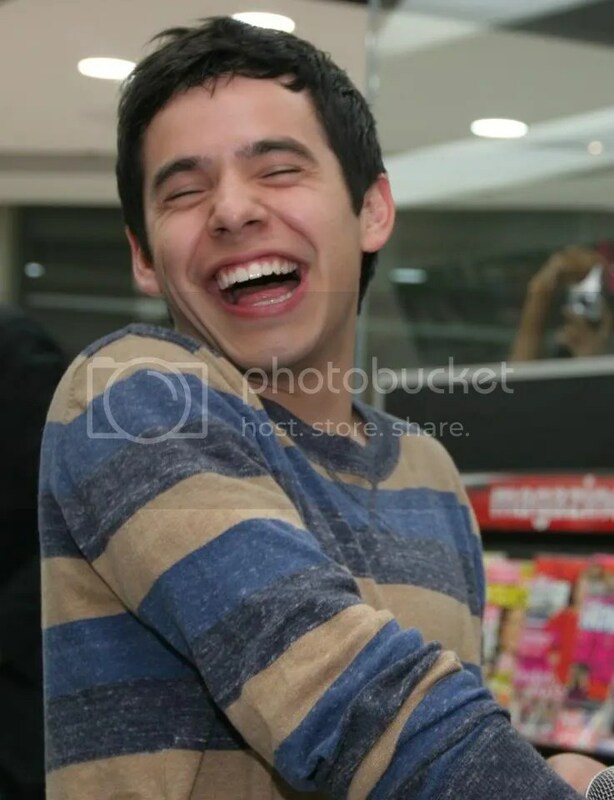 I thought I heard David laughing over here, and sure enough… What a delightful picture by @davidschickipoo. I ran this older concert mp3 thru the audio balance thingy and added it to the Candy Jar. 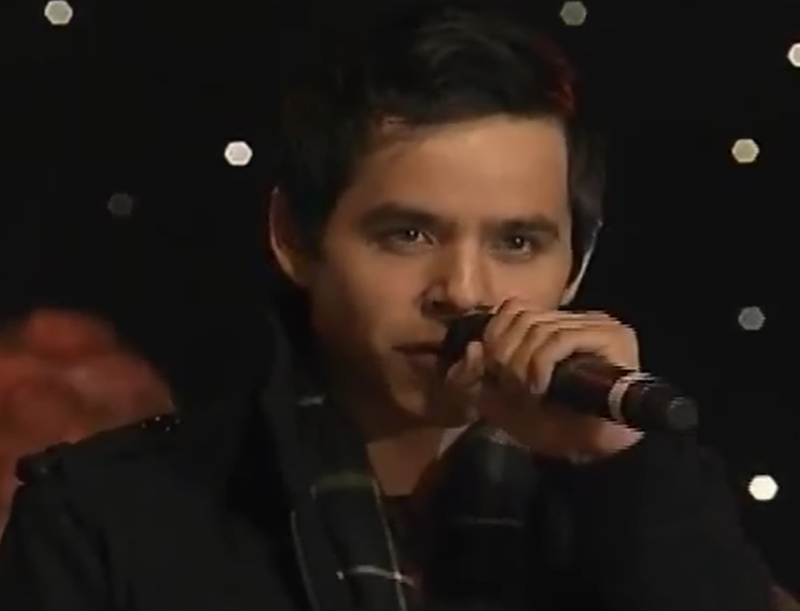 It was the first time David sang TOSOD songs in public. This place is my dessert, the sidebar pics are the whipped cream and cherry….thanks abrra. 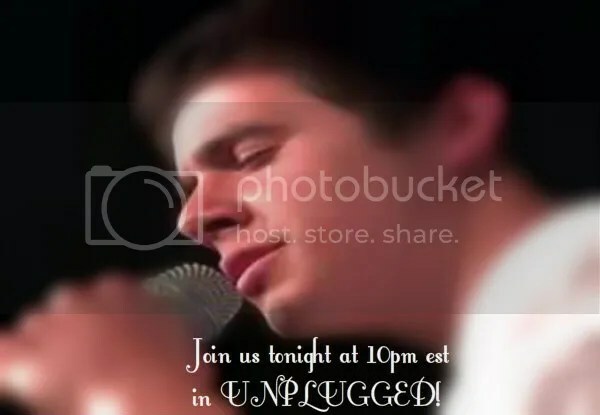 Hello all, I had mentioned going through some tough times and with the exciting David happenings hadn’t shared. I lost two uncles on the 29th, we’re calculating maybe almost at the same time, both my moms brothers. One in Mexico one here. One expected one not. We buried one on Wednesday the other tomorrow. So it’s been a rough week 😦 I thank God for putting David and all of you in my life. Djafan, so sorry for your loss. God bless you and your family. Haha I enjoyed reading your convo about his dimple 🙂 I hope I get to see it in real life at least once !! Love all the pics you post here, you can see the differences in Refnaf’s pic of the young David …he was so cute and adorable then compare to the recent ones !!! he’s still all that but may I add “hot” and “manly” too :). The pic from @davidschickipoo is all kind of awesome, can’t stop smiling. I am so sorry to hear about your families tough times. I am glad you can be there with your mom. What a comfort you must be. Family means everything at a time like this. You have my hugs from afar. My heart feels tender. Please know that you are loved, appreciated, and supported with thought and prayers. Djfan, Keeping you and your family in my thoughts and prayers. Dja, so sorry for your loss. Thinking about you and your family. My deepest sympathy’s to you and your family dja. 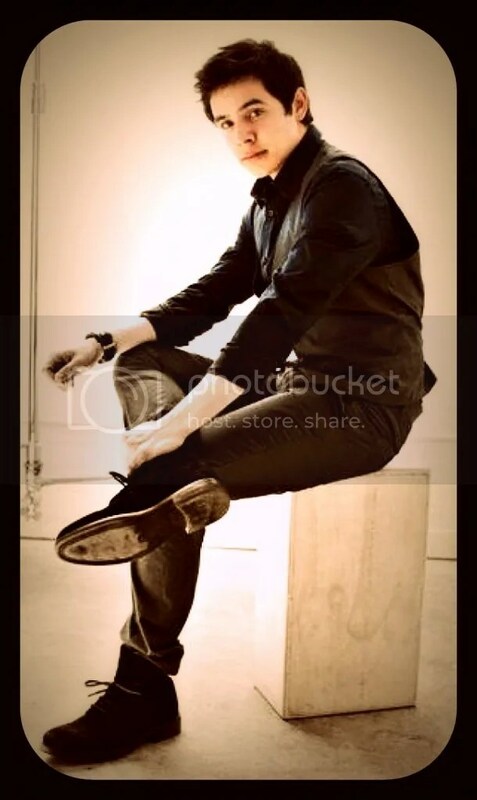 Hadn’t seen this before, ♥ it. What he could do with a song at such a young age can only be explained by “God given” talent. My sympathies to you and your family. You’ll be in my thoughts. It looks like you and I have been doing the same thing. 🙂 I’ve been watching his young performances and then the more recent ones comparing his voice from then to now. 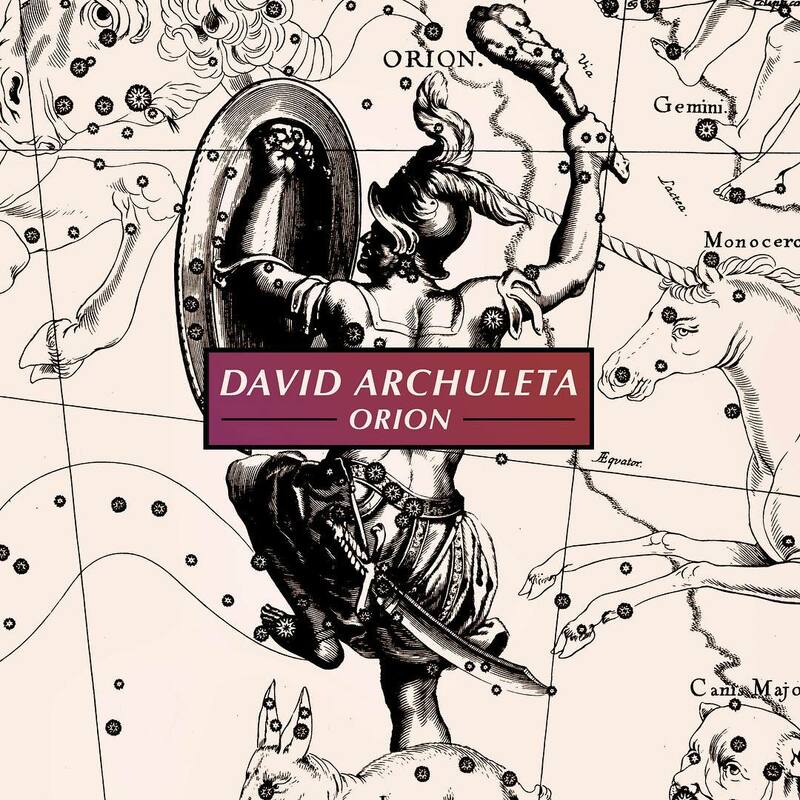 It’s really interesting to hear the differences in his voice from Star Search, then to AI, and then now. His voice is now so full and rich and his performances look so effortless. He makes songs that must be extremely difficult for the average artist to sing look so easy, the mark of a truly gifted singer. And how exciting it is to think he will continue to get better and better. I can’t wait! Saw Les Mis this past week and couldn’t help but think of 6 year old David seeing the Broadway Video and watching it over and over again with his family discovering he had memorized the parts and knew all the songs, accents and all. I’ve since ordered the DVD of Les Mis Broadway version so I can gain even more of an Idea of what “Young” David might have experienced. Back to read COS too. A Prodigy in the making. Amazing. (((DJAFan))) wow that is a lot of heartache. . My prayers are for your and your family’s hearts and comfort.Strength for the journey, and grace and love in abundance. From the distance, it seems like Everybody is doing a great job thru David’s Music Career Sabbatical. My thanks to David, Kari, all the admins and the fellow fans here. Everybody is doing something very difficult, (Staying connected) very well. We all have so much to look forward to with this new year! My hope is that all of us can take the joy, love, kindness, and goodness and hope that David exudes (All from God above) and share it with our fellow men/women.and within our own homes. Godspeed everybody on this new trip around the sun! I felt the need to read in his book to remember exactly what he said. He said that it “changed his life forever,” and that “it struck me deep in the heart.” I was right about that, but he said more that I had forgotten. Because I had been thinking about, and trying to visualize how David had felt, I decided to go home after the movie and watch the 10th anniversary recording again. I hadn’t seen it for many years. The music and the amazing voices filled with emotion literally brought tears to my eyes, and I understood more, but, in a much different way. He continues to enrich my life. Thanks CB! I’ll be watching that 10th Anniversary recording and reading COS again. I appreciate you quoting what David said. It is so amazing to me hearing and thinking about his reaction again. AMAZING. 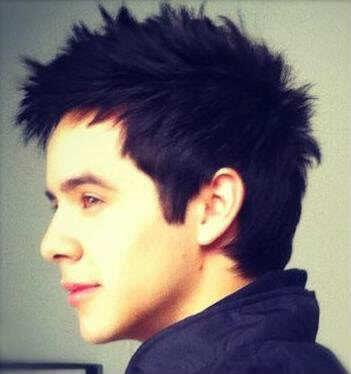 Because of David my life has been enriched too. Another Holy Coincidence 🙂 When I opened COS to re-read that part , a Card was there saying “God is using you for his special purpose to shine his light, to share His Love, to Shape His people, you are making a difference in ways you don’t even realize-and you’re very much appreciated.” Also this verse: God is able to make all grace abound to you, so that in all things at all times, having all you need, you will abound in every good work. There was a note in it from me related to the book “The Alchemist” that I had sent to David. Hmmm! I think I sent one like it to David and kept this one for a reason. Bebereader thanks for posting my ZG video :). I had forgotten that David practically reached over me to hold the microphone out to the audience. Djafan, so sorry for your loss. Abrra i got my first phone call with my new ringtone, It is awesome! Thanks! 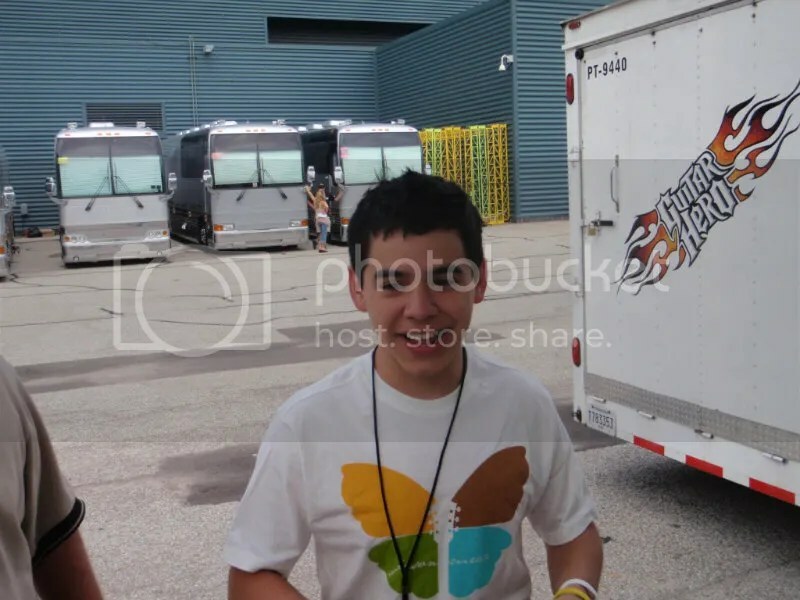 On the dimple question, I have a theory: i think the chin dimple is less noticeable when he is really smiling, and he is usually smiling when talking to fans. Djafan, I’m so sorry for your loss. May God’s grace and strength be with you and your family during this trying time. Mt. please report back if you see "The Dimple", I need to know, hehe. DJA – I’m so sorry for your loss. Sending love your way! Dja my thoughts and prayers are with you. Sorry you are in a difficult time. A time for families and friends to come together. dja — my heartfelt condolences in your loss. May you and your family have special memories to help you through this difficult time. God bless. Dja, I’m so sorry to hear of your families loss. My prayers are with you all during this time of sadness. May the good memories of each of them be with you always. Djafan, just reading about your loss. Sincere condolences to you and your family. May sweet memories be a comfort during difficult times. What I meant to say was there is a name for getting lost in his videos, only to awaken to the real world hours later lol. THE VORTEX. Welcome to it, don’t plan on getting anything done once it begins. 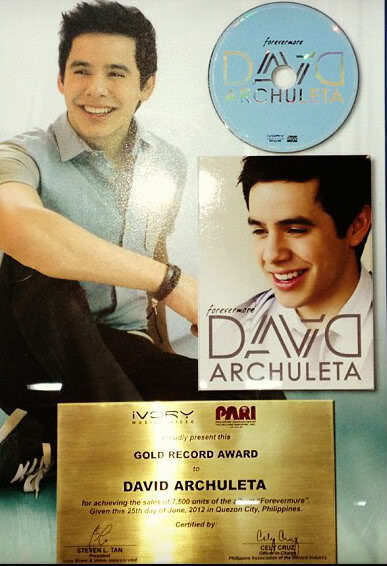 There has been a Philippine poll up with David’s name on it for Foreign Act Newsmaker of the Year. We have 10 days left to vote on it and we need everyone’s help to get David the win!! We power vote every morning from 11 am – 1 pm & every evening from 7 – 9 pm EST. We lost our lead by about 85,000 votes last night and 3%. We could use some help everyday until the voting is over. THANK YOU!! !